Launching in 2018, a new high-earth orbit telescope will keep Sara Seager and her team busy as it scans 200,000 of the nearest, brightest stars for temperate, rocky exoplanets. Above the blurring effect of Earth’s atmosphere, space telescopes are a critical tool for finding the types of small rocky worlds scientists believe are most likely to harbor life—and soon, as part of the NASA TESS (Transiting Exoplanet Survey Satellite) mission, Sara Seager, Class of 1941 Professor of Planetary Sciences in MIT’s Department of Earth, Atmospheric and Planetary Sciences (EAPS), and her colleagues will have a clearer view. Scheduled to launch in 2018, the MIT-led mission is an all-sky survey hunting transiting exoplanets around stars that are less than 200 light-years away. 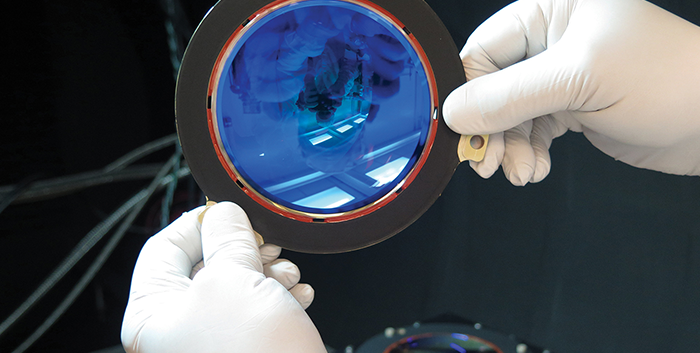 TESS will carry four identical wide-field 16.8 megapixel CCD cameras, each covering 24 x 24 degrees of the sky with a 100-mm aperture and seven stacked lenses to bring it all into focus. In a two-year survey, TESS will cover 400 times as much sky as the NASA Kepler space telescope mission. In the process, TESS will examine more than 200,000 bright, nearby stars and will likely find thousands of new exoplanets with orbital periods up to about 50 days—with hundreds being Earth-sized and super-Earth-sized (which are worlds no larger than twice the size of Earth). Where Kepler’s goal was to answer how common Earth-size planets in Earth-like orbits are—and it has surely opened humanity’s eyes to a galaxy teeming with exoplanets—TESS seeks to answer where the nearest temperate rocky planets might be. Sara Seager’s star began rising while a graduate student in the mid-1990s, at a time when the first reports of exoplanets around Sun-like stars were beginning to appear. “Encouraged by my PhD supervisor, Dimitar Sasselov, I began studying the atmospheres of so-called hot Jupiters. At the time, many scientists were skeptical of the new planets, preferring to believe other interpretations of the data, such as star variability. Others thought the claims I made in my thesis would never be substantiated,” Seager recalls. But exoplanets kept turning up and Seager’s early work has, of course, since been emphatically validated. After earning her PhD from Harvard in 1999, Seager joined the cadre of postdoctoral fellows at the Institute for Advanced Study in Princeton, NJ, where she benefited enormously from the mentorship of the late John Bahcall. 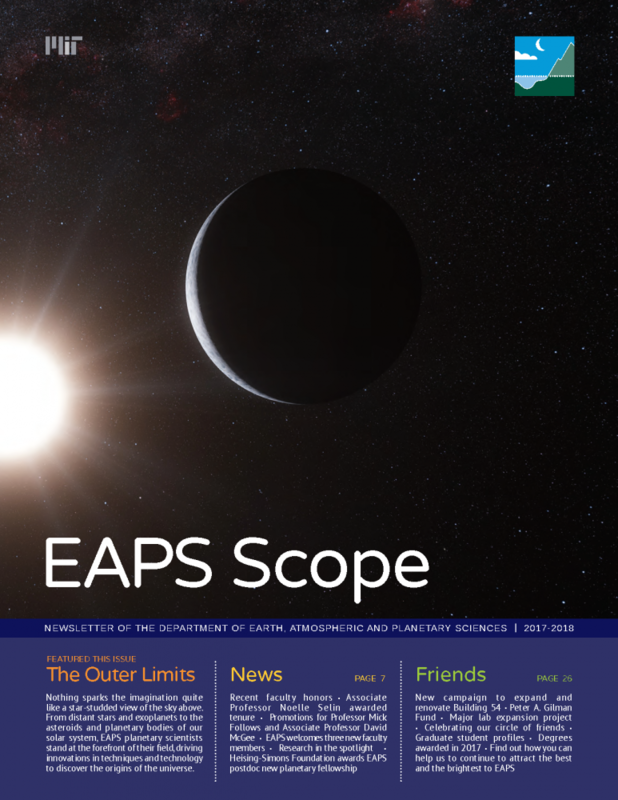 “Unlike most scientists at the time, John supported my new ideas in exoplanets with almost unbounded enthusiasm, and it was his support that enabled me to initiate several new topics in exoplanet characterization,” Seager recalls. “My research now focuses on theoretical models of atmospheres and interiors of all kinds of exoplanets as well as design and execution of novel space science missions,” Seager says. Her research has introduced many new ideas to the field of exoplanet characterization, including work that led to the first detection of an exoplanet atmosphere. She was also a member of the team that co-discovered the first detection of light emitted from an exoplanet, and the first spectrum of an exoplanet. Exoplanet biosignature gas research by Seager and her colleagues aims to push the frontiers to consider biosignature gases on planets very different from Earth, and also to consider as many molecules as possible, so we do not miss our chance to identify gases that might be produced by life. But TESS itself won’t be able to look for atmospheres and biosignature gases. 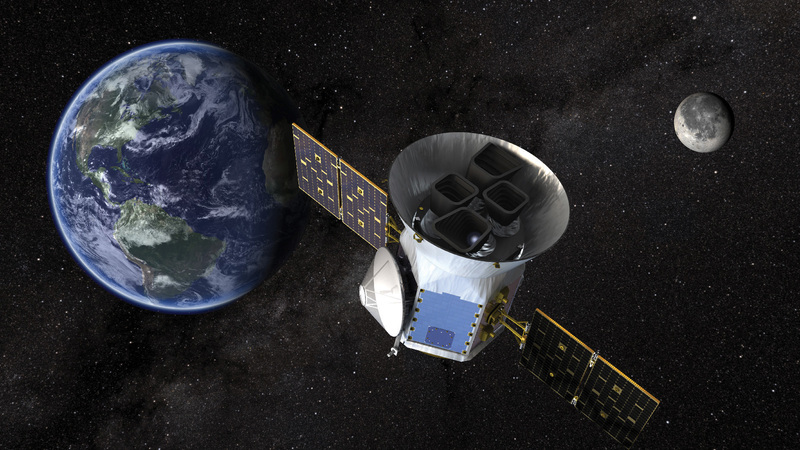 As a survey mission, TESS will detect the presence of exoplanets and identify the best candidates for follow up atmospheric characterization by larger ground- and space-based telescopes—such as the James Webb Space Telescope, which also launches in 2018. To help accomplish this, TESS will focus on M dwarf stars, a class of stars that are significantly smaller, cooler, and more common than our Sun, with several characteristics which make them prime targets in the search for habitable planets which may be followed up for signs of life. Being smaller, it is easier to detect planets around M-class stars. For example, the transit technique searches for the dips of light induced when a planet masks part of its star as it circles around in orbit. That dip is directly proportional to the relative size of the bodies—the smaller the star the larger the flux dip, and thus the easier detection of planets. And because M-class stars are cooler, the distance a planet has to be from its star in order to be in a sufficiently temperate zone to allow life to exist is significantly smaller than for other stars. As a result, transits happen more frequently—over ten days or so, rather than every 365 as for Earth—and are easier to detect, since the further away a planet lies from its star, the less likely it is to be observed passing in front of it when surveyed from afar.